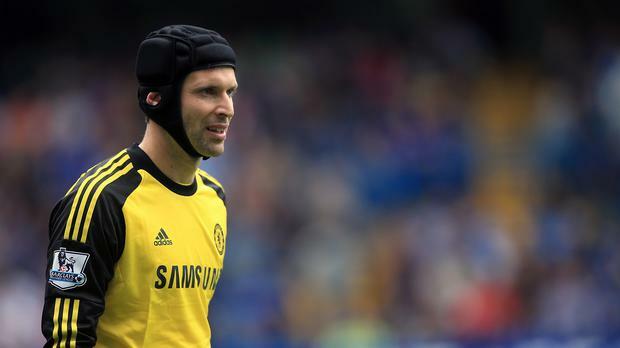 Petr Cech will hold talks with Chelsea next week, with the goalkeeper eager to sort out where he will be playing next season. The 33-year-old has a year left on his contract at Stamford Bridge but was demoted to the role of back-up to Thibaut Courtois last season as the Belgian enjoyed an impressive campaign. Blues boss Jose Mourinho has stressed on several occasions he is eager for the Czech stopper to stay and Cech is keen to resolve the issue sooner rather than later. "First I have to agree with the club what the conditions would be for leaving," he told reporters in his homeland ahead of the European Championship qualifier against Iceland on Friday. "Next week we will have a meeting with Chelsea. "At the moment it is with my agent. When it is clearer and all the cards are on the table, we will decide. "I believe that for what I have done for the club and what the club has done for me, we can arrange it so we are all happy." He added: "I keep all options open, regardless of the country. I will decide based on what is best for me and my family. It does not matter whether it is England, Germany, France or Spain.